"I am running for Congress because I have the education, experience, training, skills, and ability to help. I am a long time advocate for kids, health care, credit reform, finance reform, and prevention - health and occupational. When the mega businesses revealed their financial greed and schemes in 2007, then closed doors, dumped workers, and ran off with the money, President Obama was able to keep us from a deep depression - WE NEED JOBS and HOUSING NOW!!! I will WORK FOR YOU IN DC!!!! With my background as a physician in women's health, mental health, and preventive medicine, I can help Congress address and solve some of the important issues that confront us today. I am a member of the California Democratic State Central Committee and President of an organization dedicated to help resolve issues with California's correctional funding, safety and medical care. In July 2012, I created the Congressional Action Office, a non-partisen organization to incite elected congressional representatives to act on legislation and listen to the needs of constituents. I serve as the president and chair of the CAO. The CAO is not connected with the new group Office for Action started by OFA and publicized by FLOTUS Michelle Obama January 19,2013, but CAO is happy to work with and support OFA. As a private business person and entreprenuer, I understand the problems and complexity of starting a business, hiring staff and budgeting to make a profit. I will work to make your business successful. I am not a professional politician. I am a regular worker, like you, and I have the same types of issues and concerns that you have. I know what you want from Congress. With my Juris Doctorate, law degree, I do mediation and arbitration, so I know how to interact with people and solve real problems quickly and successfully. As an arbitrator, I am a judge on the Air Hearing Board. Our board monitors air and water quality and works with corporations to bring them into compliance to reduce air and water pollution. I am an ecologist and I will work to keep our air, water, and land safe and beautiful for generations to come. and brought fresh fruits and vegetables to our kids. The program currently has grown and brings in over $400,000 annually. I also donated around $50,000 over the 4 years I served on the MUSD board to the MUSD general fund to be used directly for student education. I also as a member of the MUSD board started the MRSA program, the Valley Fever Awareness Program, I tried to start a Sports Head Concussion Program, but the other board members were not interested and rejected the concussion program. I also pushed for alternate energy usage by MUSD and got the lighting changed and the Solar Energy Program started. I spoke against waste and fraud and tried to curtail MUSD credit card spending (the administrators and other board members shot it down). I spoke against building the new child care center next to the adult school and cow area at Madera South for health and safety reasons (not supported by supt or other board members). As a teacher of physiology and biology, I understand the education process and the barriers many find in getting a degree. I GAVE my 2 tickets from Congressman Costa for the 01/21/2013 presidential inauguration ceremony to 2 students in their twenties, so they could carry this historic event into the future. As a mom, I know the difficulties moms have balancing work and family including; meeting daily financial needs, handling emotional needs, and dealing with all of the other aspects of regular life. MEMBERSHIPS: Central San Joaquin Air Quality Hearing Board (medical member), Madera County Behavioral Health Alcohol and Drug Advisory Board, Safe and Drug Free Schools, Madera American Disabilities Act Advisory Committee, CA Democratic State Central Committee. DONATE to support this campaign and buy media space. Please donate once or monthly and I will use your donation to spread our campaign message throughout the district. Thanks voters, supporters, Patty Hughes of Stanislaus - you are a great campaign organizer and you kept this big district together and active with volunteers. Thanks. The battle to make “The Valley” representative of actual residents did not end on Election Day. Although we won some important victories, we fell short of a CD 19 win. We cannot afford to lose the momentum we just built. If we continue organizing, we will succeed in valley representation of "regular working folks" in Congress in the very near future. 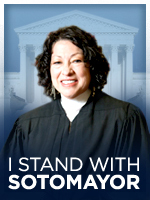 Click here to pledge to keep up the campaign for a strong advocate for you. I will keep a Democratic Congressional Office open in Madera. It will be open to those interested in Congress and politics. This was my first big race and I learned a lot. I met some great people and some crazies. I am planning to try again in 2012. My broadcasts will continue, as will my YouTube site: CentralValleyCD19. My Farm-to-School Program will bring $450,000 (fed funds) in 2010-11 to local farmers and fruits and vegetables to Madera students. Governor signed my idea (advocated 9/2009 in Madera Tribune) into law to release terminally ill inmates and save almost half billion dollars "Goodwin's Law." Starting September 27th millions of small businesses can get up to 8 new tax cuts - Republicans voted AGAINST these changes to help small business. Denham did nothing about border security for 8 years. DENHAM HIDES FROM VOTERS "He's in DC," yet seen on Fresno TV. If Denham is elected, you will never find him (without cash lure). Where's WALDO? GOODWIN LIVES and works in CD 19. Denham's lives in Salinas/Atwater and he is trying to avoid CD19, except for cash. Dodging voters. Goodwin is fully invested in the CD 19 district and will protect and discuss issues with you. Chukchansi, along with other tribes, are heavily backing Denham. Our local economy will be secondary to tribal business expansion needs - local power and individual power will become nil. ===CAL PERS, CAL STARS and UC Retirement System are unfunded by $500 BILLION DOLLARS. Retirement benefits will drop - contributions will increase. California also owes around $3 BILLION in overtime costs. Denham part of failed Senate - CA has lowest credit rating. I want government CREDIT CARDS of all elected officials publicized and evaluated. Debemos asegurarse nuestros niños ven las minorías en oficinas elegidas. Vote para mí asegurarse sus niños pueden ver a sí mismo como miembros valiosos de la comunidad Central del Valle. E segura al voe y tomar a sus amigos con usted a los sondeos en junio. Yo no puedo ganar sin sus votos. Vote - ya no invisible. Dona. I always honor our soldiers and veterans. I am a physician, arbitrator, mediator, peacemaker and a mom - so I will not vote for financial wars and our soldiers will always be protected, not abandoned. Our sons and daughters will be more likely to die at home, with family, of old age if I am elected to Congress. GOODWIN WAS FIRST TO SUGGEST "MEDICAL PAROLE" TO SAVE STATE MONEY - in an article published in the Madera Tribune September 2009 Loraine Goodwin advocated for medical parole. The issue was then taken up by the state legislature and is slowly progressing through the system. GOODWIN has the IDEAS to help the state and the Central Valley. George Radanovich says will not run for Congress in 2010 because his wife has been battling ovarian cancer for the past three years. Dr. Goodwin wishes Mrs. Radanovich well in her health battle, but stated it is ironic Radanovich voted repeatedly against healthcare for Americans. He has personally known for at least three years the expense and devastation that illness can bring to a family. In Congress, Dr. Goodwin will vote to allow all Americans to have the right to life that people with health care resources enjoy...and benefits will not be lost if illness requires the patient to take time off work. Shortly after joining the Madera Unified School Board, Dr. Loraine Goodwin began promoting the Farm-to-School Program. The former superintendent was adamant that the program was not safe - so undoable. Undaunted, Dr. Goodwin persisted and was able to get a federal grant to start the Farm- to- School Program which is run under the District Nurse. Also, as part of Dr. Goodwin's efforts to start the Madera Unified Wellness Program, the position of Wellness Coordinator was created and filled by Rosa Garcia. A wellness policy for the district was developed and is now present in the cafeteria of each school. Madera children now enjoy fresh local fruits and vegetables at no cost everyday as part of the school program. Dr. Goodwin feels "the Central Valley grows great food and we have beautiful farms. Our children must be able to enjoy our produce in our schools. We need to get rid of the junk food and let our kids enjoy healthy local produce. It helps the kids and the farmers." Loraine Goodwin gave over $50,000 to Madera Unified School District general fund - to be used for kids. Minorities get great educations, but ignored by whites. Students graduate with degrees and can't find job. Minority with MA/MS degree often works at minimum wage or dead-end job. INVISIBLE NO MORE! Character assassination will not succeed this time - UNITED we will win and find the real promise of education. You invested in education, now invest your vote in me, and we will create a BETTER CENTRAL VALLEY. In the 1960's, the Kennedy brothers, John, Robert and Edward, supported civil rights and eventually brought us to this new day, where women and minorities do not experience the pervasive racism of the past. They cared for those who were left out of the process. Senator Kennedy supported the Equal Rights Amendment for constitutional equality for women; a strong advocate for Title IX that increased participation for women in college sports and female sports scholarships; and more recently a leader in passing the Lilly Ledbetter Fair Pay Act (2009) that ensures equal pay for equal work.